Day 56—27 December 2011 Jingle Bells For more years than I care to remember, Tom has been using a Scooby Doo stocking he got from LVDW (also known as “The Weiner Lady” and “Movie [W]itch”) at an APO holiday grab bag—an occasion that, sadly, has gone by the wayside in recent years. Scooby Doo’s voice box blocks the opening, rendering it essentially unusable. Yesterday, during a break from mounds of vacation laundry, I went to Target on possibly the worst day ever to need dishwasher detergent. 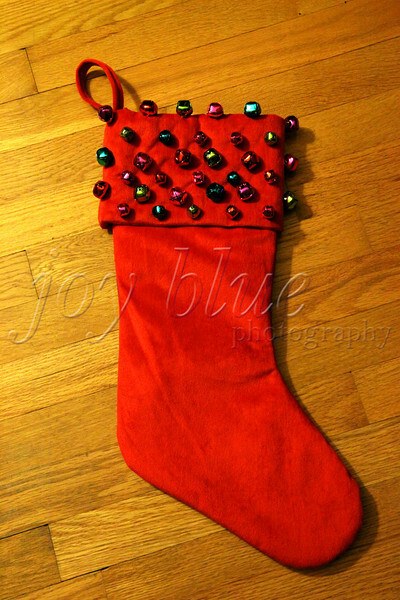 But, look what I found—a kitschy, higher-capacity jingle bell stocking for Tom. He’s overjoyed!